2 vendors have this plant for sale.18 members have or want this plant for trade. This thing popped up in my flower bed at the front corner of my house. I have no idea where it came from but I left it because I like the flowers. Now it has popped up at the back corner and on the otherside of the house as well. I'm leaving it for now but if it spreads too much I might have to take it out. I live in Flower Mound, just a few miles NE of Dallas. I got a Turnera from the Dallas Arboretum plant sale and it was FANTASTIC, bushy and covered with flowers, but after its first season, it hadn't apparently reseeded and I couldn't find a source for it anywhere. (My husband was disappointed. It had become his favorite plant and he's not even interested in gardening!) It then returned the year after that (surprise!) hidden away under a sage bush. I lifted it, along with a substantial amount of soul, to keep from disturbing the taproot. (I found that out the hard way. It really does not like to be disturbed.) I'm really glad to hear that it'll root in water, as I didn't have that much luck with Rootone in soil pots. This plant does NOT like to be replanted if it gets very large at all, b... read moreut if you lift it with a good amount of the surrounding soil, it does better. I had another volunteer this year. At the end of the summer, I lifted and potted a seedling and put it into my little greenhouse over the winter and it has a couple of blooms on it now. I'll be watching them for seeds. I wish this plant WAS more invasive, but I'll keep working on it. This was a volunteer plant in my garden. A nursery thought it might be allamanda, but that is trumpet-shaped. Found out what it was on this site! So happy to have it in my garden! If it is a little invasive, all the better. I would love to have it again next year. Bright yellow flowers and heavy green contrast makes for a wonderful plant as a summer filler and easy to grow. Easily self seeds, the seedlings like consistent warmth to sprout, so a late starter in Zone 8. Can grow year round for you otherwise. 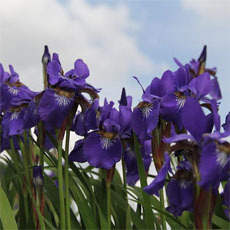 Will freeze easily, transplanting them when large can cause fatal shock. However, seedlings (under 6 inches) transplant very easily. As mentioned on one review - trim sides occasionally by 1/3 to keep bush structure. This is another plant that will always have a place in my Central Texas garden. It loves the heat and is covered in flowers from April thru November. Bees, butterflies and hummingbirds love it. It thrives in the sun but will tolerate part shade too. I've had it in my Zone 8B garden for several years but this past spring is the first time it has ever reseeded. It came up everywhere and I couldn't be happier. I have both the yellow and "white" variety (which is my favorite - it's not really white, rather a buttery color with a dark center). Unlike a previous poster, I was able to transplant several of them this past spring when they were about 2" tall. I just spaded them up and moved them. They survived (and thrived in) this worst drought and hottest summer on record in Texas. They... read more can be difficult to find. I had to drive to Rosenberg to Caldwell's Nursery the past 2 years to get them. I love em! This plant is also known as "Yellow Alder" and "Sage Rose." It is tenacious and grows just about anywhere: full sun, shade, dry or moist soil, acidic to alkaline; rich, average, or poor soil; and in the cracks of a sidewalk. It is very drought tolerant. It does not appear to have many pests, or is not bothered by the ocassional nibble. 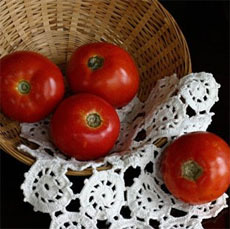 It can be grown from seeds and cuttings, but does not transplant well. It does not like having it's feet tickled. The most effective way to transplant is to start it in a peat pot and, if you are going to plant it into the ground, put it in the spot you want it in and leave it alone. I tried to transplant a 2' tall specimen keeping a generous amount of dirt around the root ball, but it went into transplant shock and died a... read morenyway. I have learned it is very comfortable in containers and does not mind becoming root bound. In pots they can be moved around as they grow taller. My oldest Alder plant is about four years old and about 4 1/2 feet high and it has been moved around the garden as the seasons change. They make beautiful background plants. 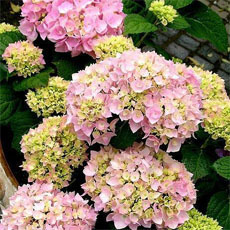 They can get leggy and may require some staking, so trim the side growth by 1/3 to 1/2 to encourage it to get bushy. On the down side, most nurseries in Florida do not offer them because they regard them to be weeds and crowd out other plants. I treat mine the same way as mints and ruella (Texas petunia): I pull volunteer plants and keep it contained. On the up-side, this plant , according to Pub Med.gov, has the potential to treat MRSA. 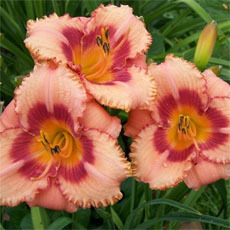 I hope this information helped fellow gardners decide if they want this "gypsy" in their garden. Growing mine in a pot. It died back in the winter but slowly came back from the roots. Also self seeded around the garden so I have several now! Just pulled up the ones I don't want. Stays loaded with blooms, bees & butterflies love it. Bought this plant at the Mercer Arboretum Sale in Houston,TX as Yellow Alder. Has been great. I have it in both pots and in beds. Have rooted it in water. Keep clippings which root in opaque vase on my desk at work and they keep blooming. Blooms all year in this climate. I have not grown this plant. Yellow Buttercups, Yellow Alder, Sage Rose (Turnera ulmifolia) is native to Florida, Puerto Rico and the Virgin Islands. 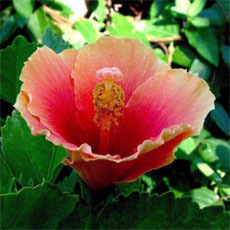 It was introduced to Hawaii and has naturalized. This plant roots very easily. I saw this growing and had been admiring it for a while. I took a cutting and rooted it in water. It grew roots in a matter of days and I planted it in a pot. This plant is quite lovely to my DH and I. We had several cuttings, and then noticed that it was popping up everywhere. On our last EarthDay we picked up lots of paperwork - and here was Tunera ulmifolia on the "invasive weed" list with a request not to plant it! Luckily we only plant in containers here, so we have kept it under control...but just wanted to post the warning. I bought two yellow Buttercup plants at Home Depot in Orange City, Fla., and liked them so well, went back for two white ones. I have them in my yard in Deltona, Fla. They are doing well. I bought this plant at a local Lowe's hardware store. But, about a year after planting, it moved from it's original place in my garden to replant itself in 2 differnent places in a different flower bed around the corner of my house! I'm sure the birds, or wind, spread the seeds. But, I was pleasingly surprised to find it offering up those marvelous yellow blossoms the next summer. The butterflies definitely enjoy the blossoms. It is easy to prune when necessary and it will readily bush back out with new growth. I love this plant, but never knew of the connection between it and papayas. I'm going to take action on that one right away. Thanks for the great hint, Foodiesleuth. I brought some from Miami to Hawaii (illegally, I might add) thinking to have a little bit of my home town in a new setting......imagine my surprise when I found this plant growing everywhere on the Big Island. 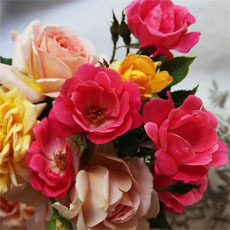 Grows easily from cuttings. Makes a wonderful filler and if planted near papaya trees, fruit flies will sting the bloom and not the papayas. This plant is easily propagated from stem cuttings. Leafminers are sometimes a problem, taking away from the attractiveness of the foilage. 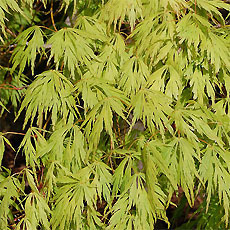 Pinch off damaged leaves, or if serious infestation, cut plant down to woody stems. It will bush back out in no time. This plant grows very well in Mobile Alabama. 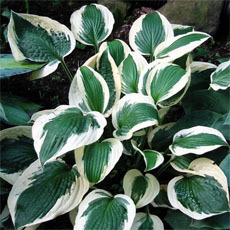 I've had a lot of success with this plant in both full sun and partial shade. Blooms stay open most of the day. In Hawaii, Turnera ulmifolia is known as "Sundrops". 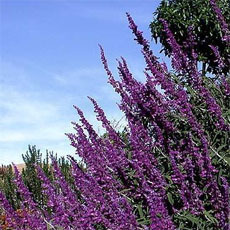 It is a perennial and blooms year round, growng into a four-foot bush. The two-inch wide, bright yellow flowers open in the morning and are closed by noon. It has tiny seeds that sow prolifically. It will often grow out of a crack in the sidewalk after a seed germinates there.